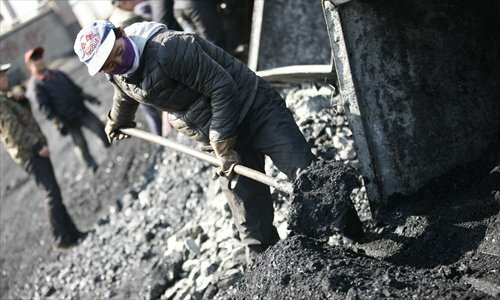 While coalmining is predominantly a job for men, women are getting stuck into the black stuff in the Huaibei coal mine in East China's Anhui Province. Standing beside conveyer belts on the colliery, they separate worthless material from chunks of coal using tools or by hand. 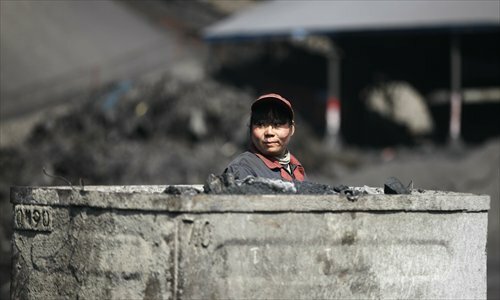 Each day at the Huaibei mine, nearly 100 carts of coal are processed in this way. 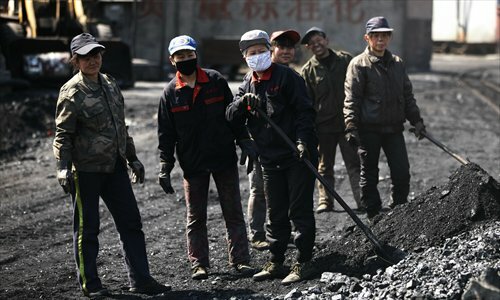 It's a hard and dirty job and the pay is not high, especially at a time when the coalmining industry is in sharp decline in China. The workers usually only have a simple bowl of rice porridge for lunch. But whenever they have a chance to catch a few minutes of rest, they enjoy watching TV series on their mobile phones. Amid slowing economic growth in and outside of China, the country is facing grim prospects in employment. China is especially under pressure to eliminate excess production capacity in traditionally important industries like steelmaking and coalmining. 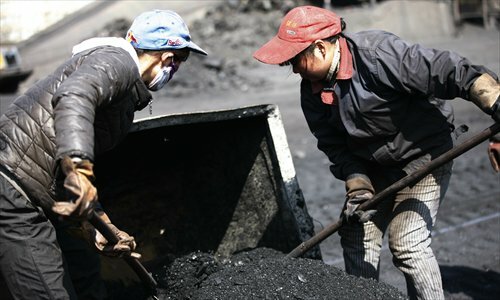 Minister of Human Resources and Social Security Yin Weimin said 1.3 million workers at State-owned companies in the coal industry and half a million in the steelmaking industry would be laid off in a massive industrial reshuffle this year.